As the First Circuit’s case in United States v. Zehrung shows, sometimes that trust is not repaid in the way you expect. Dawn Zehrung worked in a doctor’s office. 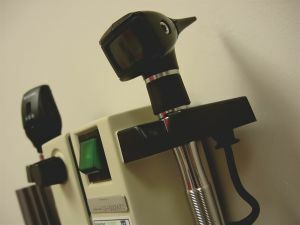 While the doctor was seeing patients – he had 14,000 patients – she was responsible for sending the office’s bills to Medicare, the state of Maine’s Medicaid program, and other insurance companies. She also had unsupervised control of the firm’s checkbook, accounts payable, and copays from patients. In what I suspect the doctor now sees as folly, Ms. Zehrung was paid a bonus if the firm did well. Shortly after she took over the billing, the firm’s monthly revenues went up 33%. The good doctor asked her why they were making so much more money all of a sudden. Ms. Zehrung said she was simply working back accounts receivable. The doctor accepted this explanation. I’d like to think he drove off in a new sports car after hearing it. Later, the doctor thought the continued increase was as a result of laser hair removal procedures that they had started doing. As it happens, Ms. Zehrung was not just working the receivables. And, doubtless there’s money to be made in laser hair removal, but that’s not how the money in this office was being made. It was, instead, being made through simple upcoding. Ms. Zehrung would take the doctor’s notes about what had been done, then she would submit bills for procedures that paid more. Also, she would destroy some of the records that showed what was actually done. Finally, the doctor was alerted by a nurse who spotted the problem. I’d like to think he was reached by the nurse on his cell phone, while he was sitting beachside drinking something with an umbrella in it. He asked Ms. Zehrung to explain herself. Eventually, he made a serious of calls that wound up with Ms. Zehrung being arrested, charged, and pleading guilty to healthcare fraud. At sentencing, there was, apparently, only one disputed issue – whether Ms. Zehrung should be subject to an abuse of position of trust enhancement. The government said she should – she abused the good doctor’s trust. He trusted her and she betrayed that trust. She said she shouldn’t – the enhancement is normally appropriate for folks who have some special skill with discretion, like a lawyer, who abuses the trust that comes with that skill. It’s clear that, say, a bank teller who embezzles is not eligible for an abuse of position of trust enhancement. So, was Ms. Zehrung’s trust anything more than one finds in a run of the mill employee – someone who is trusted to do an important job in a small business? She did the billing with “no supervision,” the judge added – “[t]here was no direct oversight, no review,” he repeated again – and “she assumed complete financial control within the office.” And, the judge suggested, her position made it significantly easier for her to commit the crime charged. The First Circuit reversed and remanded for more factfinding. These remarks, it concluded, were not enough to explain whether the enhancement was justified. This case is a nice slalom through the different ways the abuse of position of trust enhancement can apply. And it’s a lovely read.